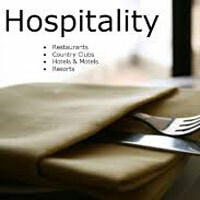 Hospitality sector is a sector, which has been witnessing tremendous growth in the recent times. The number of Hotels, Guest Houses, Motels, Resorts, etc., in the country has increased on a large scale due to the flourishing tourism industry. Hence, this has led to a large number of job openings in the Hospitality sector. Our team of skilled professionals understands the job requirements of the clients and serves them accordingly.